In the beginning of the 20th century, the territory of what is now the Hashemite Kingdom of Jordan was part of the Ottoman Empire. At that time, the ideology of Arab nationalism began to develop. In the midst of the First World War, Sharif Hussein bin Ali initiated a revolt against the Ottoman Empire. The Arab Revolt started on June 10, 1916, when Hussein's supporters attacked the ottoman garrison in the city of Mecca. The uprising lasted for two years and was followed by the partitioning of the Ottoman Empire and the creation of the Emirate of Transjordan. Although the Royal Jordanian Army was formed in 1920, it is believed to draw its origins from the Hashemite forces that participated in the revolt. That is why June 10 is celebrated in Jordan as Army Day. The Royal Jordanian Army is part of the Jordanian Armed Forces, its estimated size is 90,000 active personnel and 60,000 reserve personnel (as of 2012). Jordanian Army Day is not a public holiday, it is a regular working day. 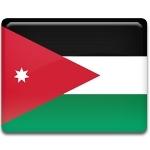 It is typically marked with a military parade attended by the King of Jordan.